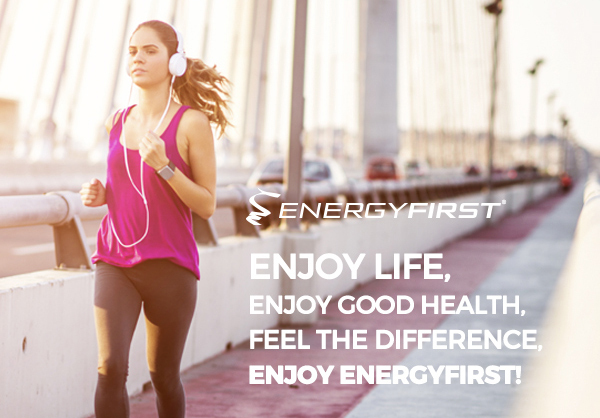 Great things are happening at EnergyFirst! We are officially launching our new blog today, so please click here to view it. We are very excited to to be shipping our new and improved Prefuel pre-workout, our brand new cookies & cream Permalean high protein bars, and my personal favorite product - our Greenergy Organic Superfood Blend. 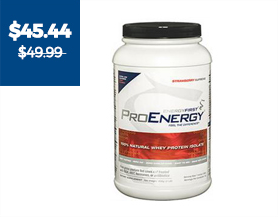 Here is a great article about the benefits of combining Greenergy with ProEnergy whey protein isolate throughout the day. This is the combination that I drink all day long to keep my energy high, my immune system strong, and to ensure that I continue to perform at my peak. If you're cooking this holiday season, here is a spice worth including in your dishes. Its active ingredient, capsaicin, offers a host of health benefits. Learn two reasons you should cook with cayenne pepper this season here. December marks one of the most dangerous months for your waistline. Extra calories everywhere you turn. Cold weather tempting you to pass on your morning jog or drive to the health club. So, what do you do? Find out what has worked for others and can work for you here. Recover from a workout. Replenish your nutrient stores. Recharge your batteries. Do you find yourself half-asleep at 3 p.m., guzzling a cup of coffee just to get you through the day? Looking for a way to take your athletic performance to the next level - your personal best? Searching for an alternative to coffee to start your day or get you through it? Meet capsaicin. Although it's found in tiny amounts in oregano, cinnamon, and even cilantro, it is popularly know for being the main active ingredient in peppers of the genus Capsicum (i.e. cayenne pepper). In fact, it is the ingredient that gives you that burning sensation when eating hot peppers. Tis the Season for Weight Control. December marks one of the most dangerous months for your waistline. Extra calories everywhere you turn. Cold weather tempting you to pass on your morning jog or drive to the health club. So, what do you do? Our Best-Selling Prefuel® Pre-Workout Energizer is the best all natural pre-workout performance powder available anywhere. IThis is the world's most effective green drink for boosting energy and immunity naturally.